Throughout history, humanity has had an interest in participating in play and games. Even young animals engage in play, usually with siblings and peers within the same pack or troop. In some animals, this play mimics the behaviour of adults of their species hunting down prey, in which the prey is a sibling that is left unharmed. Other animals play by climbing across tree branches. The playing of games prepares younger animals for the challenge of survival as adults in the natural world. In primitive hunter-gatherer societies, children observe adults hunting for and gathering food and engage in games that mimic such behaviour. Men skilled in the use of weapons such as the spear or the bow could repel a marauding predator animal seeking to capture food from a human community. Games evolved where males of the society engaged in mock battles, honing skills required when such a predator arrived in a village. The same skills allowed men to hunt antelope and other animals to provide food for their communities. To some degree, modern computer games follow a similar theme. The present Western political climate glorifies the defense industry and people who participate in national defense. Advances in information and computer technology have allowed programmers to develop training games that can give players the experience of military personnel stationed in a foreign country, having to defend themselves against snipers. The theme can date back several thousand years to the stories of ancient Greece, such as The 12 Labours of Hercules. In this epic, the hero is warned of the creatures he will encounter, like the Gorgon Medusa, who could turn a person who gazed upon her to stone. Hercules also encountered the many-headed Hydra, who would grow two heads for each head cut off during combat; a squid-like creature called the Kraken that dragged people under water before eating them; and a humanoid creature with the head and horns of a bull, called the Minotaur, who was the master of a maze through which Hercules was required to pass. In the modern cyber-version of the epic, players play the role of Hercules as they take on the task of overcoming obstacles and achieving victory over multiple opponents. The implicit message behind the epic is that despite seemingly insurmountable obstacles, there is a chance of undertaking action to actually achieve victory over adversity. For over a century, most newspapers have published crossword puzzles that a percentage of readers took on the challenge of solving. For many readers, the presence of the crossword puzzle was one of the main reasons to buy the paper. Many contemporary newspapers publish the Sudoku puzzle that challenges players to think analytically as they fill in the blanks with the correct numbers. While Sudoku originated in Japan, it has found favour internationally. It provides players with the challenge and the opportunity to achieve victory, perhaps assuring them of their ability to succeed at a challenge. While violence, destruction and blood are rampant among American video games, Japanese puzzles peacefully challenge players’ thinking skills. Sudoku puzzles perhaps mimic the process of invention whereby an inventor begins with a few existing pieces of technology and uses ingenuity to add new pieces of technology to build something useful. Many centuries ago, Arab and Indian traders used a Sudoku-like approach to develop an alternative to the cumbersome Roman numeral system to perform calculations. Their base 10 or decimal numeral system greatly simplified calculation in trade and commerce. It could be applied to perform calculations in trigonometry and geometry. Easier calculation gave rise to numerical games, puzzles and numerical recreation that resulted in the development of the bead-based calculator known as the abacus, which further eased calculation for trade, commerce, geometry and trigonometry. Even to the present day, many Asian children are taught calculation using the abacus. The prevailing political agenda glorifies military service and encourages the ongoing development of combat-based computer games, perhaps preparing teenagers for possible future roles in military service. 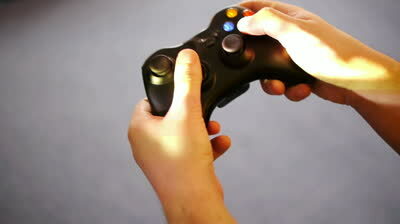 Gamers may, for instance, direct the flight paths and operations of cyber-drones. As they refine their drone flying skills on cyber-missions, their newly acquired expertise prepares them to operate real drones engaged in combat missions at distant overseas locations. While there are also non-combat computer games out there, of course, there is probably room for more. The free market requires computer game programmers to develop products that appeal to large numbers of customers. Programmers seeking to develop non-combat games could combine the narrative/instructional approach of popular television documentaries with games that develop players’ knowledge and skills in mathematics, physics, chemistry, electronics and related sciences. Such games could further develop players’ skills and abilities in such areas as entrepreneurship, innovation and invention, challenging them to develop new useful services or useful technologies. The success of Sudoku puzzles suggests the existence of a bigger market for non-combat games that develop and enhance players’ skills for real-world entrepreneurial challenges.